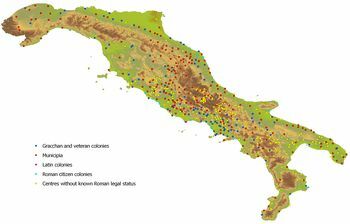 These data-files are the product of a two-year research project (ROMURBITAL) to create an analytical database and GIS of 583 (proto-)urban centres on the Italian peninsula that existed between 350 BCE and 300 CE. The project was undertaken by Dr. Jamie Sewell as a Marie Curie Intra-European Fellowship (Project No. 300969) at the Archaeology Department of Durham University between 2012 and 2014 (Scientist in Charge: Dr. Robert Witcher). 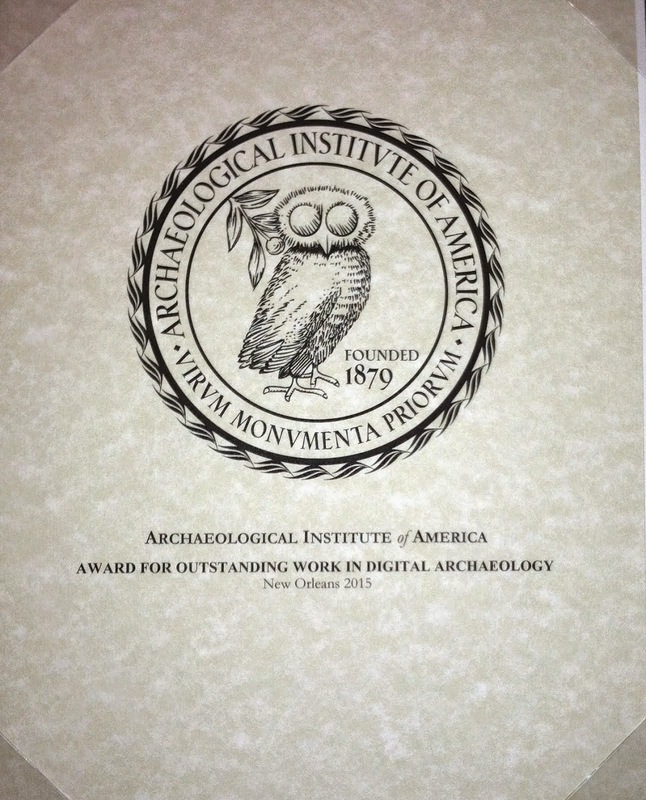 For a full description of the research aims, selection criteria and methodological development of the project, see the Internet Archaeology article: Sewell, J.P and Witcher, R. (2015). Urbanism in Ancient Peninsular Italy: developing a methodology for a database analysis of higher order settlements (350 BCE to 300 CE), Internet Archaeology 40. 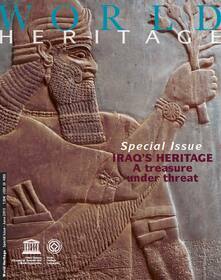 World Heritage is the official UNESCO publication from the World Heritage Centre. Featuring in-depth articles on cultural and natural World Heritage sites. The quarterly review is produced in English, French and Spanish. The purpose of this study is to survey middle and high school students and teachers all across the United States and find out the many different reasons why people study and teach Latin. Feel free to download the copies of the survey above and edit them to use with your own students and colleagues. The survey was open from May 2013 - February 2014. It was primarily conducted online, using Qualtrics. An international journal devoted to environmental change, and its effects on landforms, climate, ecosystems and human activities. The Second International Symposium of Living with Landscapes "Siwa 2009"
In the book titled Vergil's political commentary in Eclogues, Georgics and Aeneid, the author examines Vergil’s political views by analyzing the whole of the poet’s work. He introduces the notion of the functional model suggesting that the poet often used this instrument when making a political statement. 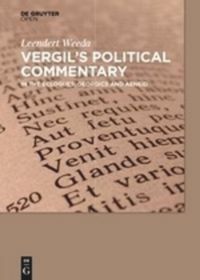 New interpretations of a number of the Eclogues and passages of the Georgics and the Aeneid are suggested and the author concludes that Vergil’s political engagement is visible in much of his work. During his whole career the poet was consistent in his views on several major political themes. These varied from, the distress caused by the violation of the countryside during and after the expropriations in the 40s B.C., to the horrors of the civil war and the violence of war in general, and the necessity of strong leadership. Vergil hoped and expected that Octavian would establish peace and order, and he supported a form of hereditary kingship for which he considered Octavian a suitable candidate. He held Cleopatra in high regard, and he appreciated a more meaningful role for women in society. Vergil wrote poetry that supported Augustus, but he had also the courage to criticize Octavian and his policies. He was a commentator with an independent mind and was not a member of Augustus’ putative propaganda machine. Africa’s rock art is as diverse as the continent itself. In 2013, the African rock art image project team began cataloguing around 25,000 digital photographs of rock art from across Africa – originally from the Trust for African Rock Art (TARA) – through generous support from the Arcadia Fund. Combining a wide range of research from the British Museum, TARA and colleagues in Africa, the project is cataloguing and digitally preserving African rock art, ensuring global open access well into the future. How was African rock art made? How can African rock art be dated? What are the origins of art and rock art in Africa? To spread knowledge of Roman civilisation. Research on Roman sites in the U.K. Present Roman sites and collections. Publish findings from all our active archaeological archives. Our principal objective is to promote the advancement of the education of the public in the history and archaeology of the Roman period. The A.R.A. publish a fully coloured Newsletter annually, and we upload copies here on the website for people to view. The Newsletters on the website are available in PDF format, please clink on a link below. Archaeological News Round-up: Colchester; Rabbits in Roman Britain; Socks with Sandals; York burials; Vindolanda sculpture. Archaeological News Round-up: Arbeia altar; Cameo glass vase; Nova Zagora, Bulgaria tomb. How were Roman villas glazed and vented? Archaeological News Round-up: Suffolk lantern; Bury St Edmunds Priapus figure; Holbrook, Suffolk figure; Folkestone re-excavations; Frome coin hoard; Aberystwyth villa; Alton pendant. Archaeological News Round-up: New Caligula statue at Nemi; Roman crop marks; Pompeii / Vesuvius website; 4th century paintings at Santa Tecla; Papcastle excavations; Vindolanda finds. Archaeological News Round-up: Survey at Caerleon; Excavation at Caerleon; Nabatean wall paintings; Roman site beneath Kettleby; Hallaton Helmet; History of Rome Podcasts. Archaeological News Round-up: Maryport excavations: Vindolanda denarii. Archaeological News Round-up: Colchester mosaic; Caligula statue at Nemi update; Herculaneum Roman sewage; Roman Doncaster excavations. Archaeological News Round-up: Beau Street hoard; Walton, Peterborough new villa; Arch of Titus paint traces. More and more biblical scholarship is being published open-access and online – not only in traditional book form, but in a variety of media, including videos and sound recordings. In addition there are many more free New Testament and free Old Testament materials available to read. To search for online Biblical Studies resources, please either click on the category in which you are interested, or use the search-box, in the column to the right. Blog: Read Me Before I Die!